It can be tempting to fill your shopping cart with cheap, flimsy skillets, but don’t buy into the illusion of getting a good deal. By investing in great quality cookware sets, you can avoid setting yourself up for disappointment and potential disaster with poor quality pans whose handles break off or scratch easily. Cheaper products usually result in reduced lifespans and need to be replaced much sooner than expected, which will cost you far more in the long run. Hyper-focused kitchen pieces could be the exact answer for a particular problem. While you might have your eye firmly on that bulky electronic chocolate candy melter that you might use once a year at best, it’s worth thinking carefully about whether you really need it taking up space in your kitchen and making a hole in your wallet. Most cooking functions can be performed perfectly adequately in regular cookware. Limiting your kitchen gadgets to only what you utilize on a regular basis for multiple and purposes can be a huge space and cost saver, especially when you are learning to work with a smaller kitchen. It may be tempting to purchase the super-duper-deluxe 174-piece cookware ensemble, but you might want to evaluate whether you need all that gear in your life, cluttering up your kitchen. Can you realistically see yourself using each item included? If not, it may be easier to buy a better quality set with fewer pieces or choose the individual pieces that you know you will use to personalize a set that works for you. If you do find a set that includes the items that you need, go ahead and buy it. You can always pick up that extra stock pot if that is something your still kitchen needs. Stainless Steel, Copper, Non-stick, Cast Iron… how do you choose? All of the options available can be overwhelming at first glance, but with a helpful materials guide and some self-examination, you are sure to find the right choice for you and your cooking habits. For instance, are you trying to limit the fat in your diet? By choosing a nonstick pan, you can reduce the amount of oil or butter used. Do you want pieces that work well both on the stovetop and in the oven? Cast Iron may be the smart choice for you. By analyzing your culinary style, you are sure to find the right material to compliment your lifestyle. To ensure that consumers can purchase with confidence, many companies offer lifetime warranties. Many brands like tout their craftsmanship so if longevity and customer service is something you seek, you may be pleasantly surprised with what a few extra dollars can get you in the long run. By equipping yourself with the right tools in the kitchen, you can be inspired time after time to create mouth-watering dishes with cookware of which you can be proud. 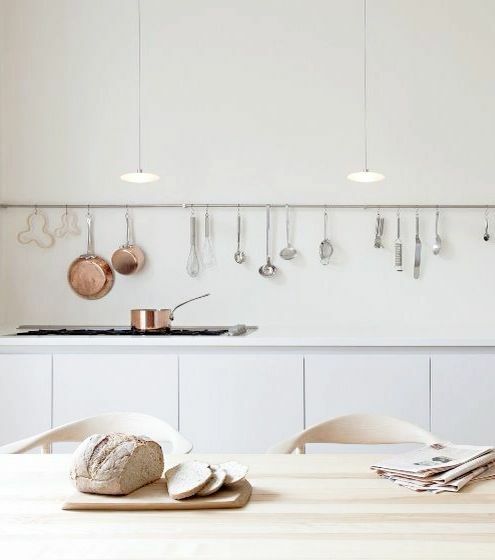 A bit of research and following the steps in this guide will lead you to the right selections for your kitchen that will serve you for years to come.